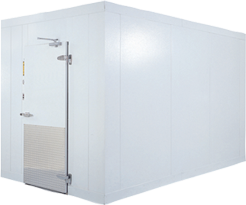 CrownTonka walk-in coolers and freezers can be tailored to match existing store designs — with styles to fit anything from the beer cave to the dairy cooler. CrownTonka accessories like angled walls, glass doors, shelving solutions and lit displays are all available for c-store reach-in refrigerated storage. Visit the team at NACS Show 2018 to discover Everidge’s refrigerated products for c-stores. Monday, Oct. 8 – 11:30 a.m. to 5:30 p.m.
Tuesday, Oct. 9 – 11:30 a.m. to 5:30 p.m.
Wednesday, Oct. 10 – 9:00 a.m. to 1:30 p.m.